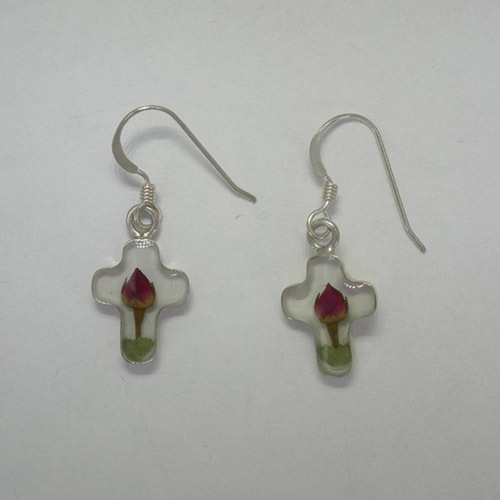 Desc: Sterling Silver white cross with rose flower dangle earrings. The earrings dangle from sheperd hook dangle fashioned from Sterling Silver. 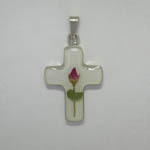 Each cross contains a genuine rose blossom with white acrylic background. The earrings have bright polish finishes. We have a matching pendant, see SK1020.